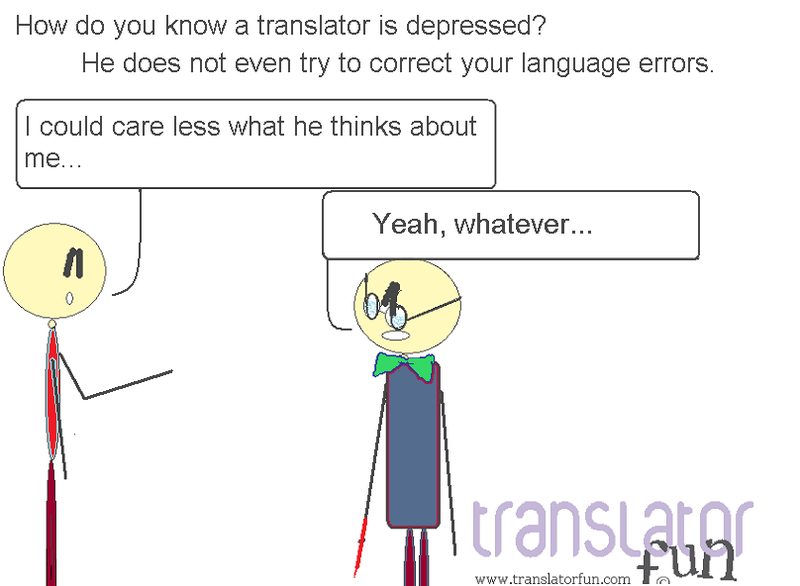 How do you know a translator is depressed? When a translator is depressed he is not even interested in correcting your grammar mistakes. Send this eCard to your favorite translator to cheer him/her up. This entry was posted in Freelance translator, Fun, language, lifestyle, Translation and tagged could care less, couldn't care less, freelance translator, language errors, translator by Romina Bona. Bookmark the permalink.